The Bass Play-Along series will help you play your favorite songs quickly and easily! Just follow the tab, listen to the online audio to hear how the bass should sound, and then play along using the separate backing tracks. The melody and lyrics are included in the book in case you want to sing, or to simply help you follow along. The online audio is available for streaming or download using the unique access code printed inside the cover. 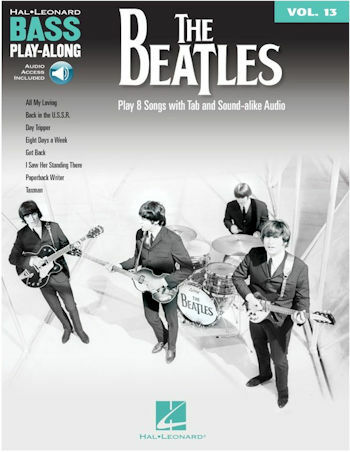 This pack includes the songs All My Loving • Back in the U.S.S.R. • Day Tripper • Eight Days a Week • Get Back • I Saw Her Standing There • Paperback Writer and Taxman.